This blog has been around for a while. Some of the posts were and are more popular than others. It would be a pity for some of the new readers not to get a chance to read those posts. In that spirit, time by time, I'm going to be re-posting some of the oldies. Be advised, some of them are quite old and may contain inaccuracies, grammar and spelling errors. This series of blog entries are about the so-called "maneuver warfare" as explained by William Lind. The writings of Robert Leonhard will also be included. I claim neither expertise in the subject nor devotion to this way of waging wars and thus I am not trying to convert you into anything. 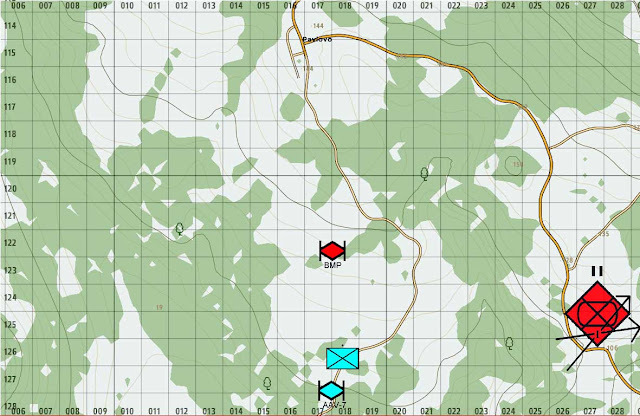 This series is not an analysis or a review of all ideas about maneuver warfare but rather some explorations about the topic based on computer war games and simulations. Future entries will be delivered based in readership. Surfaces and gaps is a very simple concept: avoid enemy strengths (surfaces), find a gap in the enemy lines and go for the enemy's position depth. Kinda common sense, we may say. The real acme is how to find and be ready for these gaps. Remember the enemy is not an static entity and will be on the move or react to your moves. Finding and exploiting those gaps in a timely manner is what is known as "recon pull" (future course of action is frequently adjusted by lower echelon commanders to what your reconnaissance troops find out). That is opposed to "command pull" (future course of action remains constant for a considerable amount of time and determined by higher echelon commanders). Today's entry is about the smallest unit action you can imagine during a recon pull. 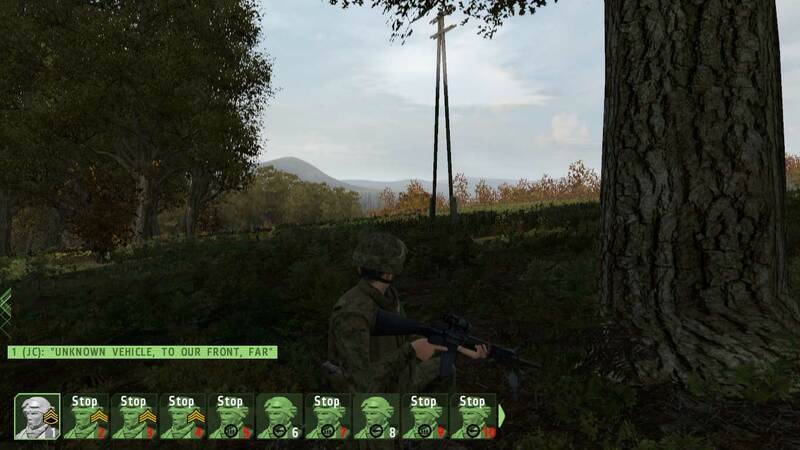 A US Marines squad is about to conduct a reconnaissance patrol after being stopped by a seemingly strong enemy position. According to Lind, the usual infantry squad is too symmetrical (each fire team has exactly the same weapons). In page 25 of Maneuver Warfare Handbook, Lind proposes that the squad should be split in a probing/assault team (riflemen and grenadiers) and a fire support team (automatic rifles plus grenadiers). The probing team, composed of riflemen and grenadiers, should act as the probing, breeching, and, where necessary, assault element. The support team, armed with the squad automatic weapon and grenade launchers, should provide firepower to suppress enemy opposition. In the next paragraph, Lind comments on how the exact composition of such teams should be adjusted according to the situation at hand. 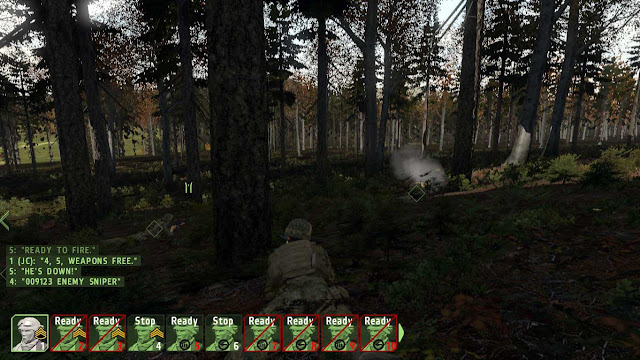 In wooded terrain, for example, he proposes that the probing team should be composed of two, maybe three riflemen with the rest of the squad as the support team. 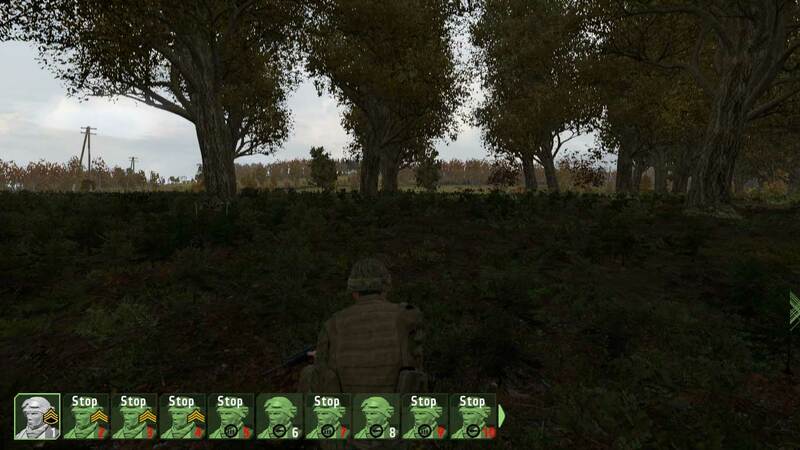 Let's see how that works in ArmA 2. The overall tactical situation is not very promising for the US Marines in Chernarus. A forward detachment of a Russian Mechanized Battalion (big red icon) has started moving south and once all forces arrive, it is expected to conduct a south-bound assault on the Marines' position (not shown here). Out of options, a US Marine company commander orders his troops to interdict the enemy (crossed arrows with the letter "I" on top of the big red icon) in order to buy time until reinforcements arrive. A US Marines squad (rectangular blue icon) is on point for the first platoon of the company. The objective of the squad is to conduct a reconnaissance of the enemy defenses around Pavlovo. 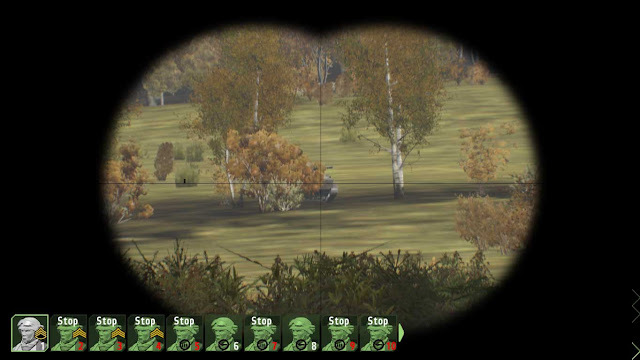 The squad had dismounted from its AAV-7, just short of the open terrain north of the road bend. 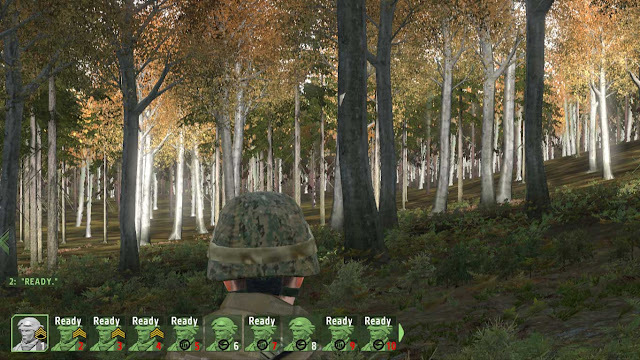 Just before moving north, the US Marines squad. As a squad commander, I take with me two grenadiers (#6 and #8) and leave the rest of the squad behind the safety of the small rise north of us. In this picture I am carefully trying to get a better view of the open field ahead. All I could see is a Russian BMP. But when there is one there is more, remember what you learnt in the scout class: know how your enemy operates. I can't take out one or more BMPs with my AAV-7 and I can't move my Marines through that open terrain. The woods on our left flank look like the only alternative. We will be moving dismounted. 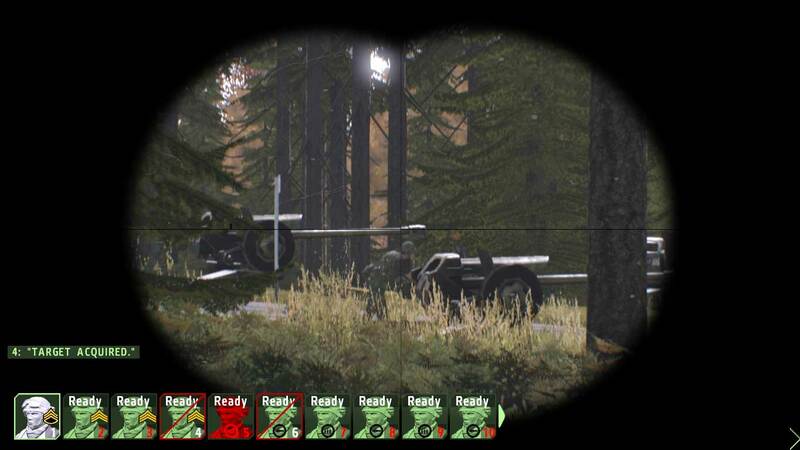 I took two men with me (probing team) and kept the rest of the squad (support team red) some 150 meters behind. I soon realized that #6 and #8 would bee too much firepower taken from the support team and traded #8 for #4. Here I am in the woods west of the BMP we found out earlier. We are moving north. 10 minutes later, me and my probing team make contact with an enemy patrol. We hit the dirt immediately and observe the enemy for some time. The enemy patrol is in our way and we will have to engage them if we want to continue to advance north. My plan is to pour some fire onto the enemy patrol with my probing team and then position the support team in a position for long-range killing. However, my probing team is (firepowerwise) weak. I decide to bring an automatic rifleman (#5) from the support team up to my position. Why not bringing up the whole support team? I thought that the whole support team would be too noisy and may be detected and fired upon while moving. Waiting for #5 to crawl up to the probing team was excruciating, but the stealth atmosphere of the whole affair was enjoyable. I was moving my troops, undetected, around the enemy. The decision of bringing up the automatic rifleman was a wise one: once I gave the fire order to my men, the whole enemy patrol (turned out to be an infantry squad) was neutralized. Hell, the support team didn't even made it in time for the party. Our success had a price: #5 was injured by enemy fire. Man of the day, Marine! 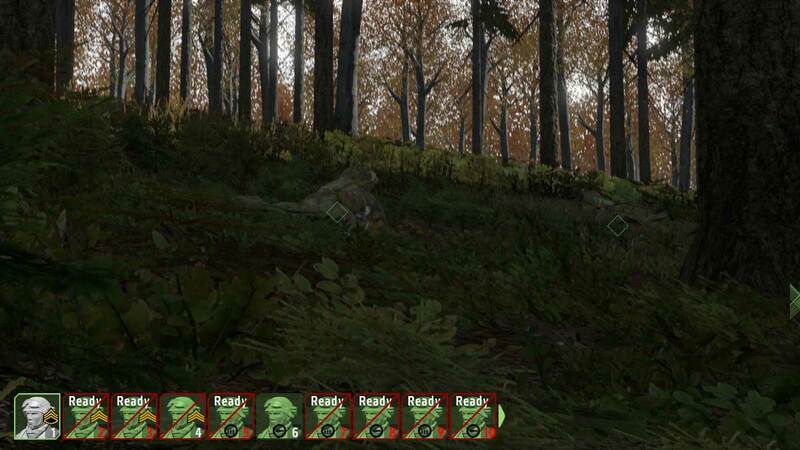 Our patrol continues up north through the woods in the west part of the map above. 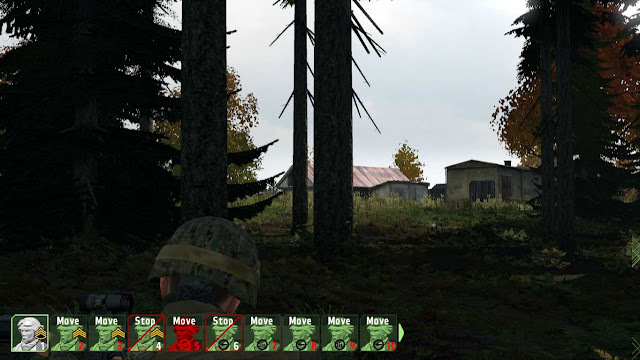 We found another enemy patrol 1 km west of Pavlovo, but we let them move past us since they were not in our path towards the town. Pavlovo. A reconnaissance patrol has nothing to do inside a town and it is recommended to observe them from a distance. In this case the hilly terrain is playing tricks with our mission and we need to infiltrate via the wooded terrain near the town to actually see something. This was possible only because the town appeared to be not defended. I took #4 and #6 with me and kept the support team (red) back. If an enemy force would be present in Pavlovo, our support team wouldn't be here in time to save our rear ends. Sigh! Bingo! 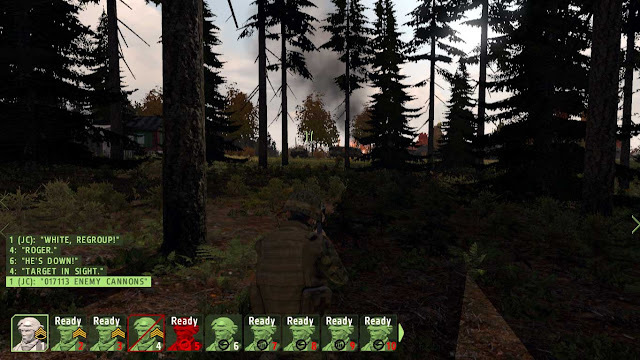 An enemy artillery position just north of Pavlovo. Premium target that if destroyed will negate the enemy the use of indirect fire support. Well, mission accomplished (Pavlovo is undefended and an enemy artillery firebase). Backtracking and starting our move back to friendly lines, the sight of a support trucks in Pavlovo was an irresistible temptation. Our reconnaissance patrol and the enemy positions we found on the way. Nice AAR JC, as always I must say. 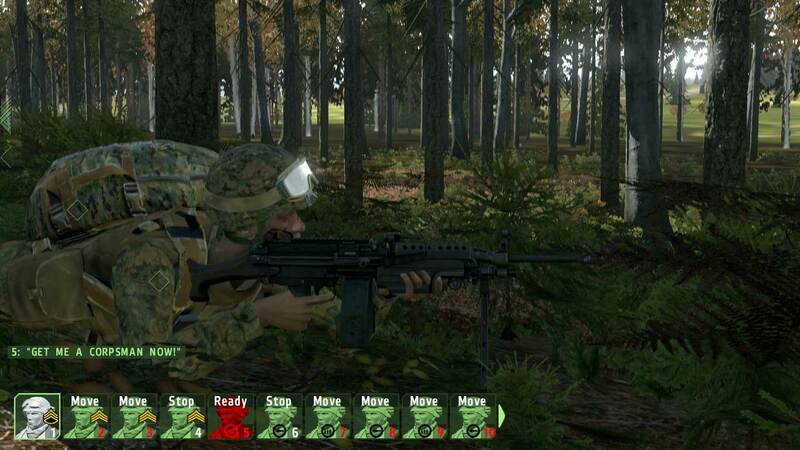 Like the first comment said, it's nice to see how arma can fit and illustrate many theorical situations. 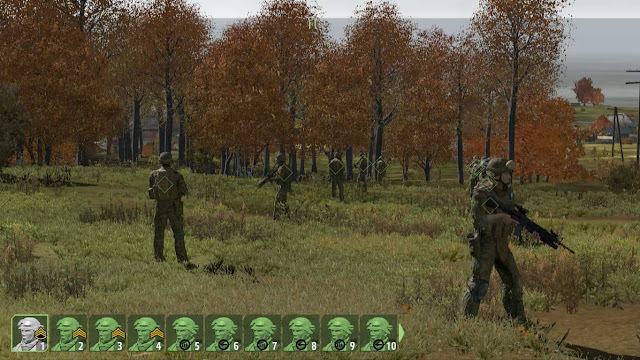 Concerning Arma (Pergite), do not hesitate to play with the editor, which is an amazing and powerful feature. Great stuff again JC. Just waiting to get my new vid card to play ARMA properly! 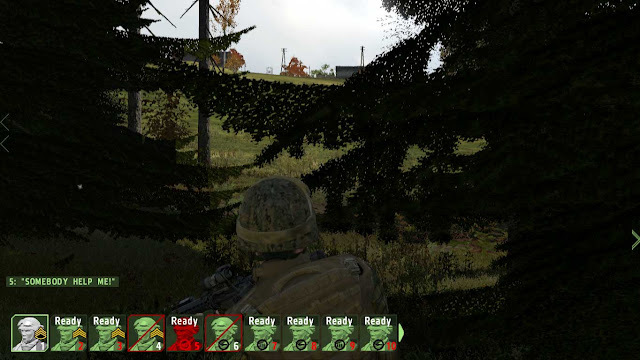 @Gillers, ArmA is CPU intensive. Don't forget that front! Another brilliant article JC! Happy hunting! Thanks for your comment. New entry is up. It doesn't take that much time, but it all depends how busy you are with real life. Only recommendation is stay focused in a topic. Don't wander too far from it and you will find your niche.